All jewelry is composed of genuine stones such as amethyst, blue topaz, rose quartz, tiger-eye, carnelian, peridot, Swarovski crystals and fresh-water pearls in an assortment of sizes and colors. Each piece is embellished with sterling silver charms and findings. Whether celebrating a birthday or Mother's Day, any day is a perfect day to be Tickled Pink! Celebrate the special little ones in your life. Custom jewelry for brides and their attendants. 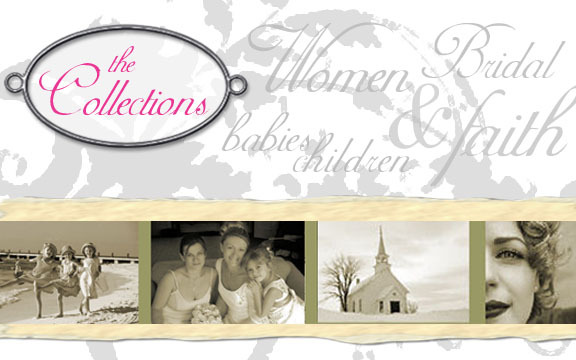 Designs based on scriptures of the Bible or as remembrances, such as the Mother's bracelet. Spoil someone you love or just pamper yourself! Tickled Pink Jewelry by Kim Spruth | Custom and Handmade Fine Beaded Jewelry | To place an order call Kim Spruth at (310) 922-4847 | Thanks for visiting Tickled Pink Jewelry! | God bless!